Our old friend Jimmie Geddes was at Digital Experience last night and managed to get a video demo of the HP TouchPad. The bulk of my afternoon was spent getting some hands-on time with both the Palm Pre Plus and the Palm Pixi Plus for Verizon Wireless. Both look very similar to their Sprint counterparts. 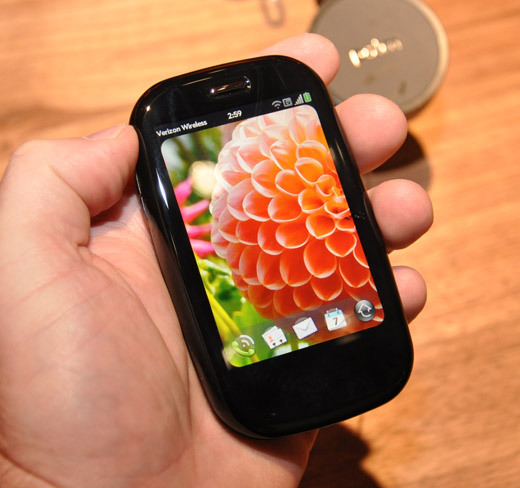 The Palm Pre Plus no longer has the trackball looking home button, replaced with a larger gesture area. This makes the device look cleaner, since it’s virtually flat across the entire front surface. We tested a few of the sliders and they felt improved. The keyboard is the most improved part of the Palm Pre Plus. 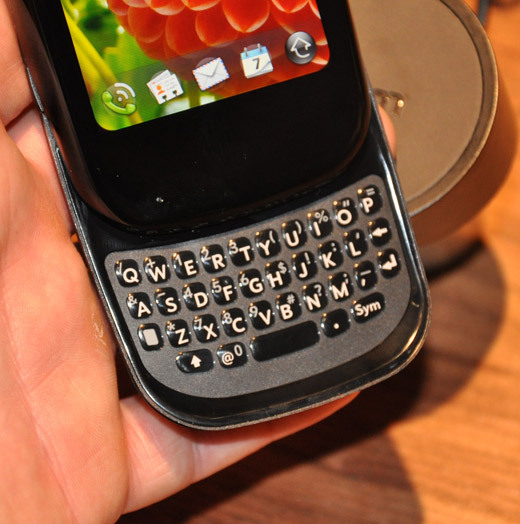 It’s hard to put into words, but it’s a cross between the existing Palm Pre keyboard and the super-tactile Palm Pixi keyboard. Gone are the orange hues, replaced with gray. The Palm Pre Plus has the same processor, memory and internals as the existing Palm Pre, save for the added memory. The Palm Pre Plus offers 16GB of storage compared to the 8GB Palm Pre. 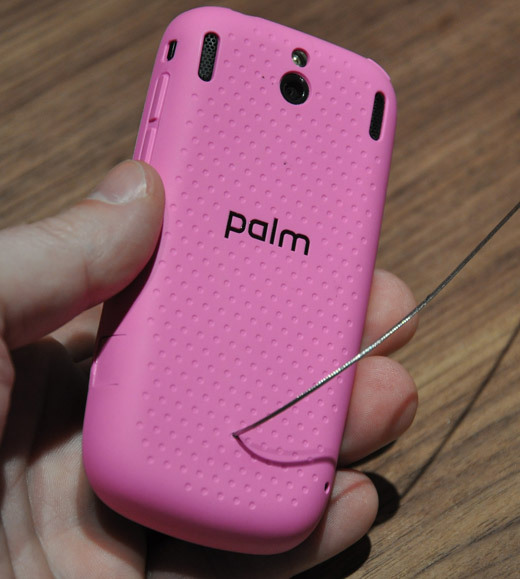 The Palm Pixi Plus gets the added benefit of WiFi. Outside of the new neon backplates, no big changes for the sibling of the Pre Plus. Software releases will dictate which model you select. The Palm Pre Plus (and Palm Pre) support all the new 3D games. All webOS devices will support Flash and offer video recording, editing and sharing with webOS 1.4. Even more impressive is the Verizon-only Hotspot app. While we wait for pricing, it’s great value add to turn your Palm webOS device into a personal MiFi that allows connectivity for up to 5 devices. Our live blog was made possible with the MiFi – an overall great product. New webOS device owners will have the ability to turn their phone into their personal MiFi. Overall, the Palm Pre Plus offers some subtle, but nice improvements combined with the added storage. The Palm Pixi Plus adds the much needed WiFi component. A nice package when you consider it will be available on Verizon’s network. Editor’s note: Due to my failure to pack a video cable, much of our HD video coverage will be available on Saturday. Please subscribe to our YouTube channel for the latest.